Dubrovnik, Croatia has been described as paradise on Earth! 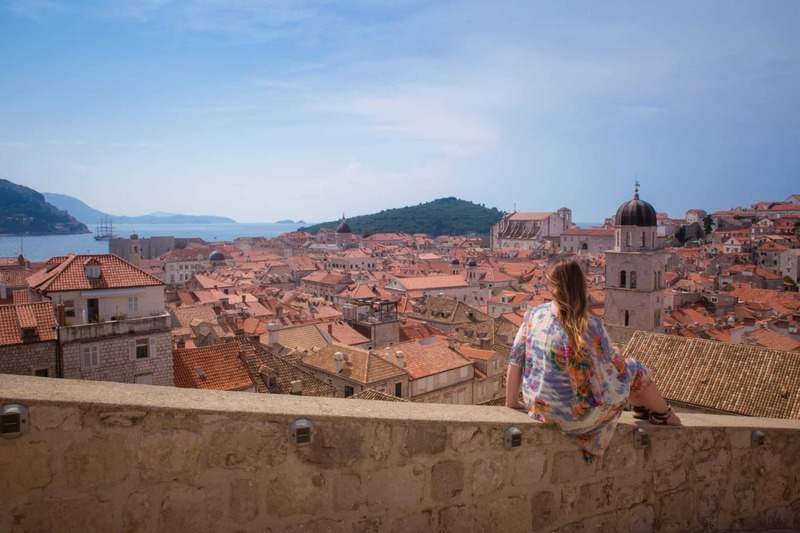 If you only have one day in Dubrovnik you can still see plenty in this beautiful city with this amazing Dubrovnik itinerary. From a hidden bar on the city walls, watch locals bathe on smooth, dark rocks, then dive into the shimmering blue waters of the Adriatic sea to cool off. All while breathing in a view of burnt terracotta tiles and narrow, secret walkways that have remained nearly unchanged since the 13th century. 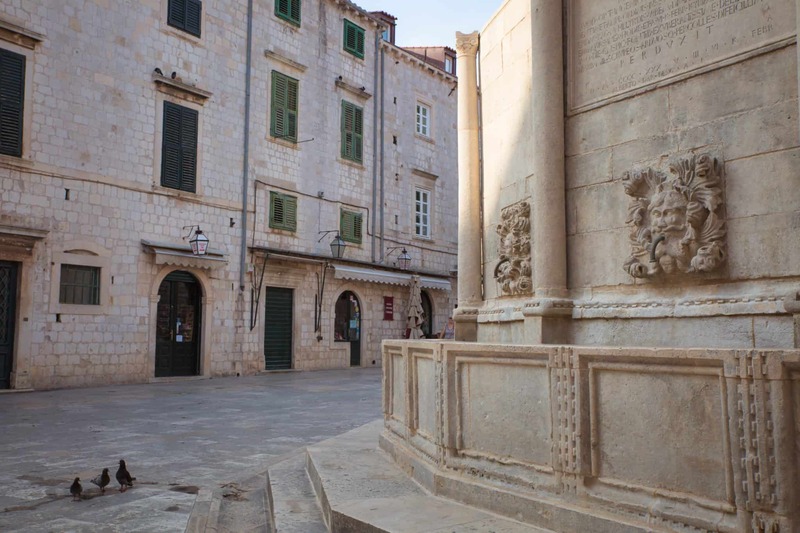 A city where you can follow in the footsteps of the GOT cast in Kings Landing. Wander the history-steeped UNESCO World Heritage Old Town. Or enjoy local fresh seafood and famous delicacies like black risotto ( which gets its color from cuttlefish ink) at waterside tavernas. This Croatian medieval city has something for everyone. 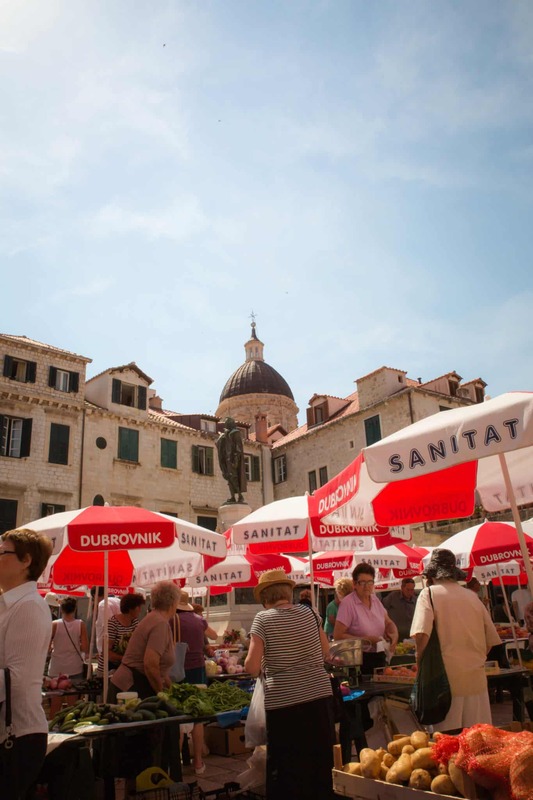 Although you may miss a few sites, it is possible to see a lot in Dubrovnik in a day. We were on limited time so wanted to make sure we created a list of the best things to see in Dubrovnik in one day and can’t wait to share them with you. To make the most of the Dubrovnik places to visit make sure you set our early! In the tourist season, it can get jam-packed and then numbers increase even more as passengers swarm the city from the visiting cruise ships. We set off from our accommodation just outside the city walls at 7:00 am to catch the morning light and enjoy the quieter side of Dubrovnik. There is still only a few entrances through Dubrovnik’s lofty ramparts. Public transport is excellent. If you are staying outside of the walls consider hopping onto one of the local buses then walking in through Pile gate. Or if you are staying at other towns along the Dalmatian Coast consider catching a water taxi. Arriving up to the 25-meter walls by water is an experience in itself and allows you to imagine how traders from countries as diverse as India, Turkey, Africa, and England felt arriving at the bustling city hundreds of years ago. Approaching Dubrovnik from the water like visitors from around the world have done for centuries. Once you enter through the thick walls you become lost in a city that is a living, breathing history lesson. The scars left from the two disasters that have befallen the city are hard to spot amongst the stone buildings. Struck by a powerful earthquake in 1667 that did not leave much standing other than the city walls, it was also subject to much more recent horrors. Apart from the terrible loss of life, the Siege of Dubrovnik in 1991 caused severe damage to the town. It was estimated that nearly 70% of buildings were either damaged, severely damaged or completely lost during the Siege. As you walk amongst the churches in Baroque, Gothic and Renaissance style, working monasteries and everyday homes you could be forgiven for forgetting these events occurred. We entered the city as early as possible. Soaking in the quiet and atmosphere. Watching locals hang out their washing, crisp whites against the stone of their homes and walk dogs along the cobbled alleyways. This is always one of my favorite parts of experiencing a place. 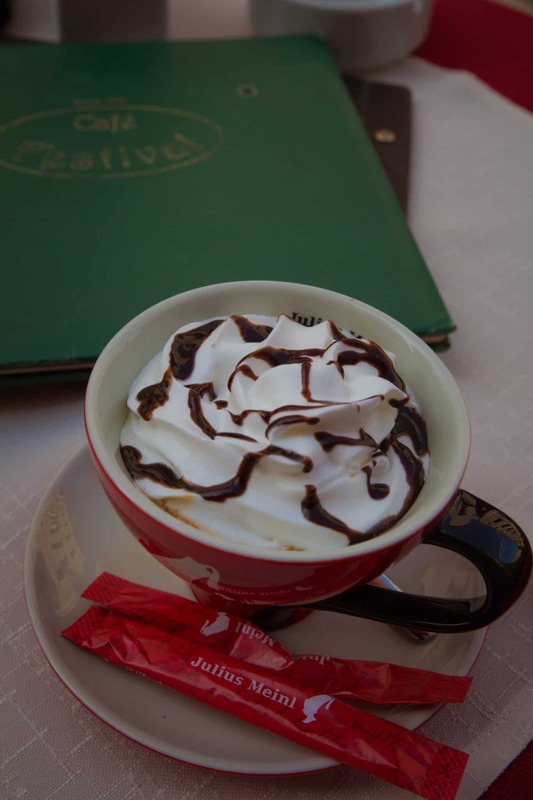 In one of the few cafes open, we sipped strong, dark coffee and observed how the inhabitants of the city start their day before the hordes of tourists make them disappear. Love quieter destinations? 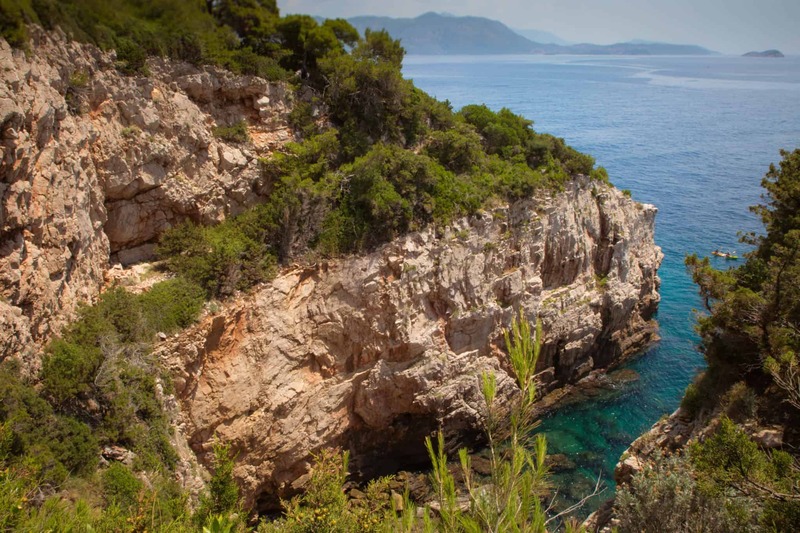 Why not explore Cavtat? Only 20 kilometers from Dubrovnik, it still has more of a local and traditional feel compared to the bustle of Dubrovnik. At 8 am the gates open for the city walls. We chose to walk the walls early and miss the influx of tourists that arrive ( especially when a cruise ship docks). High above the shade given by the narrow alleyways, we were glad that we chose to visit early and not leave the experience until later in the day when the sun is at its hottest. There are three entrances to the walls. We entered and purchase tickets near the huge Onofrio’s Fountain. We filled our water bottles with the cool, fresh water that comes directly from a nearby spring. Just as people have done since the fountain was built in 1438. The 2km walk around the city perimeter rewards you with uninterrupted views over the sapphire blue waters of the Adriatic sea on one side and the bustling labyrinth of the Old City on the other. Watching nuns tend vegetable gardens, couples enjoying breakfast on their balconies and locals rushing to work. You can see that Dubrovnik really is more than just a tourist attraction. Spotting places we wanted to explore in the town from above then trying to find them through the maze of laneways later required a great sense of direction. While not my forte luckily my husband always led us in the right direction. These city walls have been protecting the city since the 12th Century and have never been breached by an invading army it all that long history. The average thickness of the ancient lime and stone walls is 1.5 meters (5 feet). If you prefer to know exactly where you are heading there are tourist centers, free walking tours and maps available through the town. Alternatively, throw away the map and wander in the lively squares and narrow snickets. 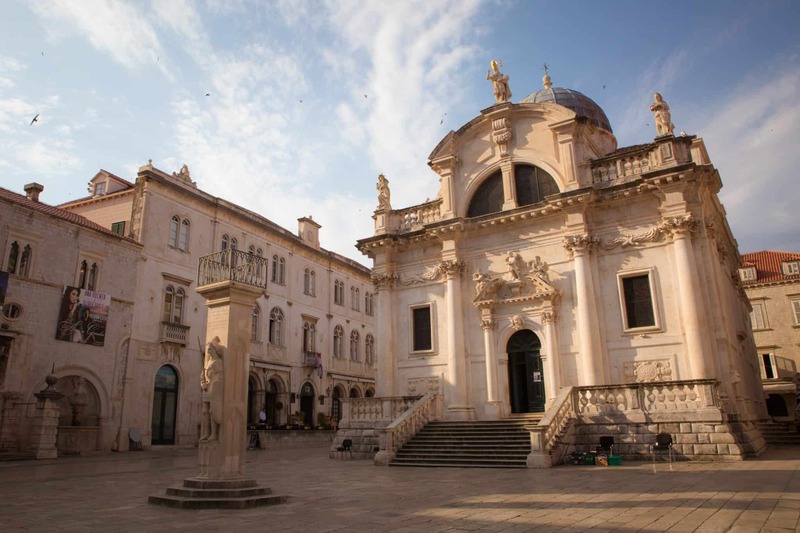 Main attractions are clearly signposted, so you don’t miss sights like the Franciscan Monastery which boasts one of the world’s oldest functioning pharmacies or the sites from the hit tv series Game of Thrones. Tread cobblestones polished smooth from centuries of pedestrian traffic while you discover a new sight around every corner. 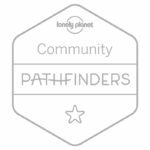 We found local craftswomen creating traditionally embroidered items, quiet cafes with the mandatory lazing cat and fresh fruit in the Old Town Market in Gundulić Square. 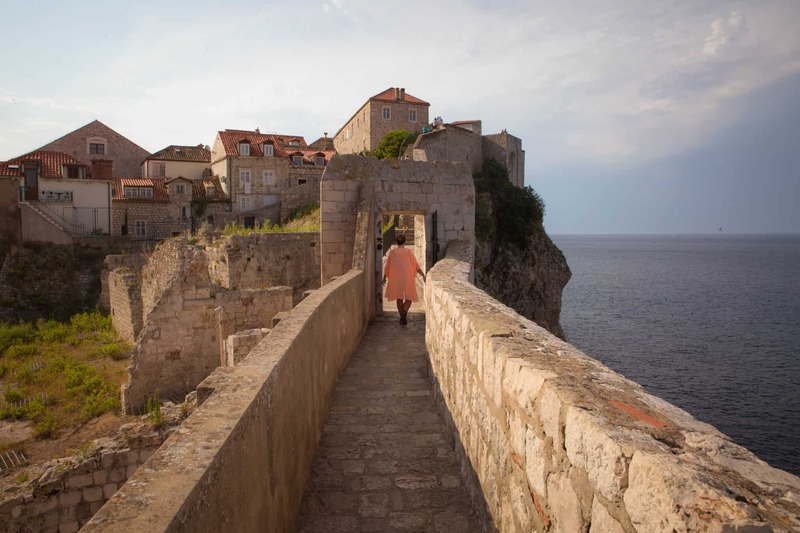 If getting lost isn’t your thing, how about a Game Of Thrones tour or trip up the cable car? 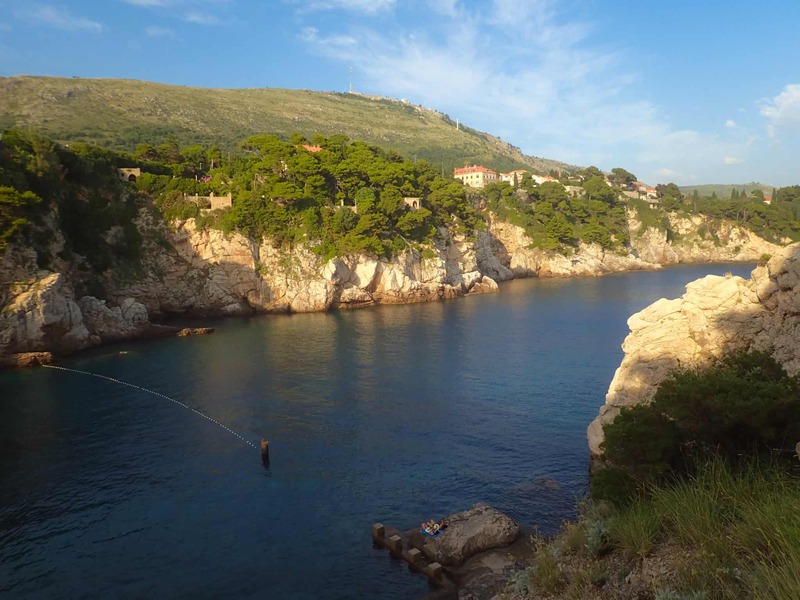 Family Can travel spent 2 days in Dubrovnik and put together a great itinerary here. 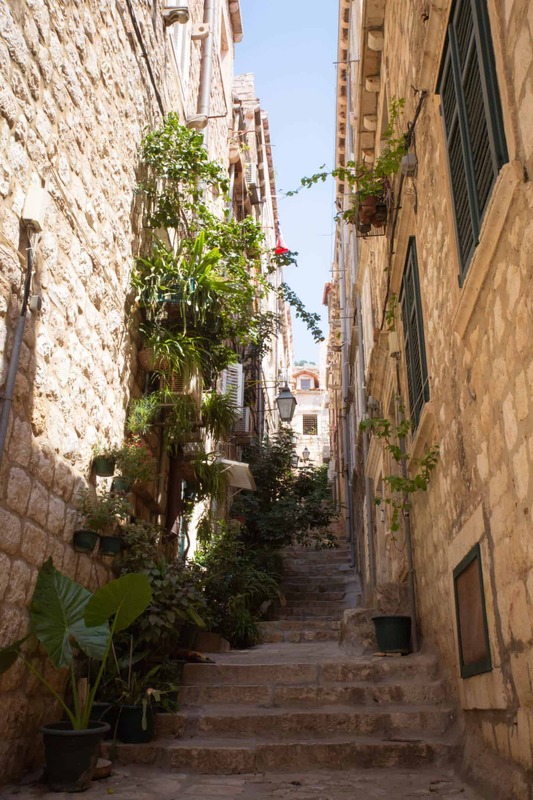 Every city has its secret spots, Dubrovnik is just a little harder to discover sometimes. One place that we had heard about before our trip and were desperate to visit was the Buza Bar. Perched precariously on the cliffs, hugging the outskirts of the city walls tightly, many tourists are unable to find the entrance to this magic spot. Tables are scattered on any cliff ledge that is wide enough to sit on. Retro rock music is playing from the bar and you can take a dip from the rocks below between drinks. Stopping here for a cocktail…or two while watching boats pass by recharges the batteries perfectly. It was one of our favorite places to visit in Dubrovnik. 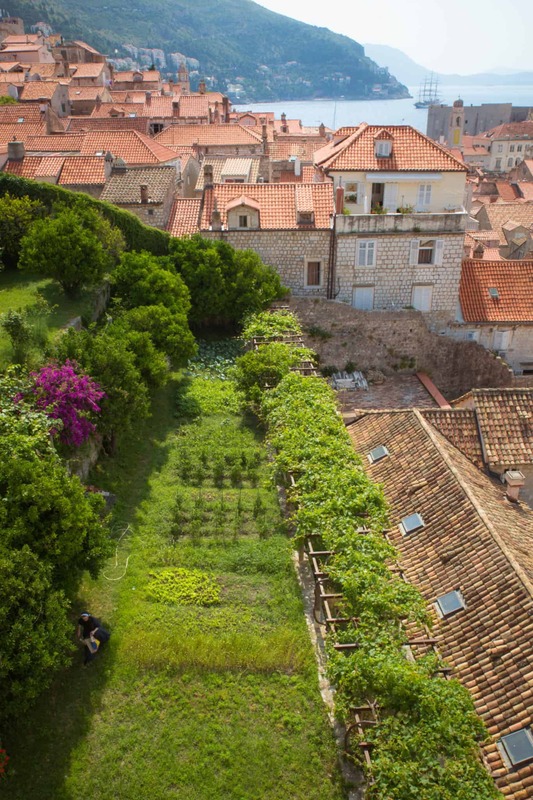 There is more to Dubrovnik than what’s within the city walls. Whether it was from the Buza Bar or while you were walking along the rampart, the lush Lokrum Island is an easily identifiable sight on the horizon just a short distance away from the city. Ferries run to the nature reserve island every half an hour at peak season with tickets for sale before you board. 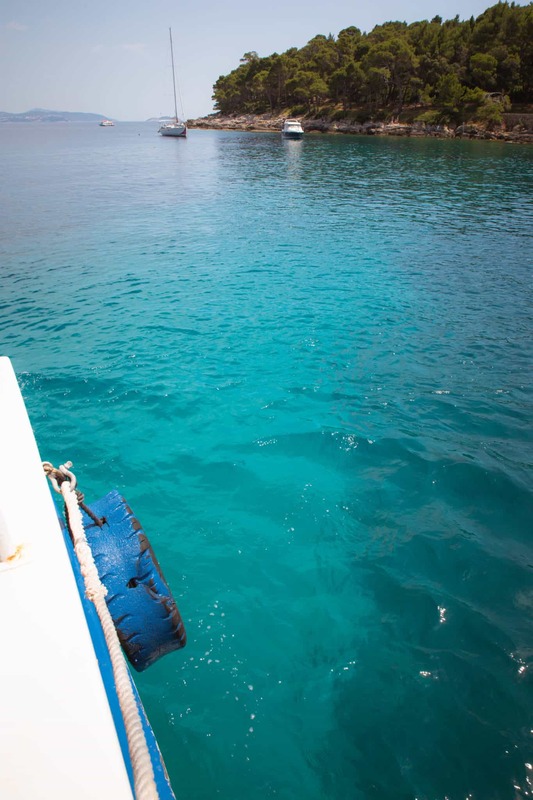 Crystal clear waters in all shades of aqua and turquoise surround you as you approach the island. After the bustle of Dubrovnik, Lokrum seems like a little slice of quiet. The rich greenery posing a sharp contrast to the terracotta and stone you just left behind. Between the ragged rocks and other tourists, it can be difficult to find the perfect spot to bathe at one of the island’s beaches. If you dare to bare all there is a naturist beach on the island. For those that want a taste of the Dead Sea, there is even a mini salt lake in the center of the island. The old Benedict Monastery has a restaurant if you want to eat while on the island. Alternatively, you can bring a picnic. After our visit to the market in the old town, we snacked on freshly picked berries. The call of local peacocks echoing in the trees. Bliss. 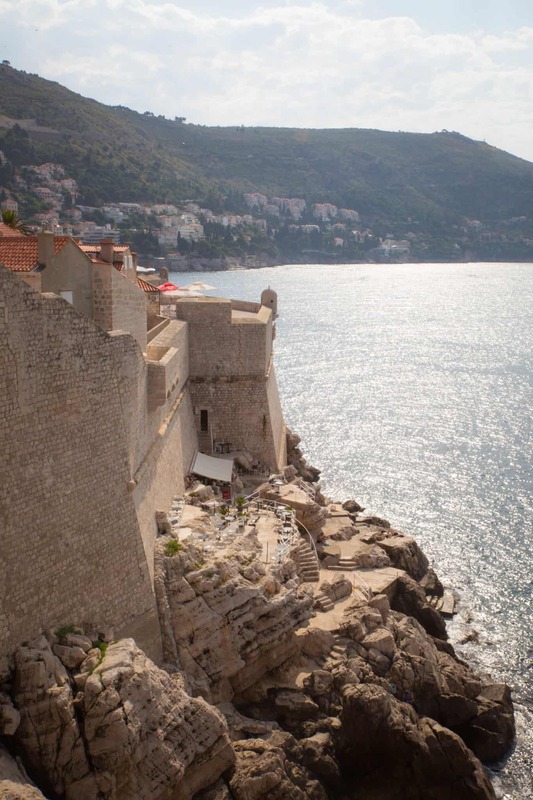 If you only have a short time in Dubrovnik we suggest staying within the city walls. From luxe hotels to quaint Bed and Breakfasts there is something for all price ranges. If you are looking for a more homely feel make sure you check out Airbnb. There are some stunning options outside of the walls. too. We stayed a little out of town with views out over the deep blue waters of the Adriatic. The walk into the city was stunning. We also had access to three or four swimming spots an easy stroll from our apartment. Due to our itinerary we unfortunately only had one full day to explore Dubrovnik. We would recommend staying longer in this beautiful place as there is so much more to see and do. 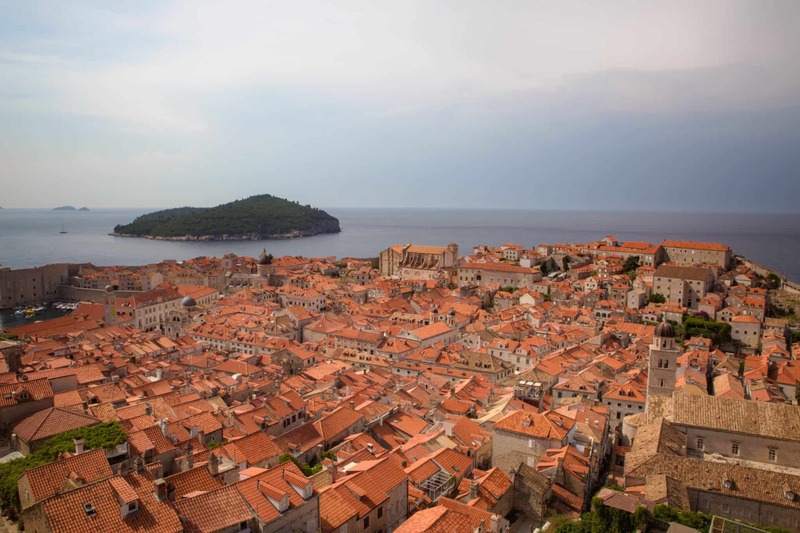 Head over to Zena’s Suitcase to discover some other great ideas for things to do in Dubrovnik. Traveling with kids? 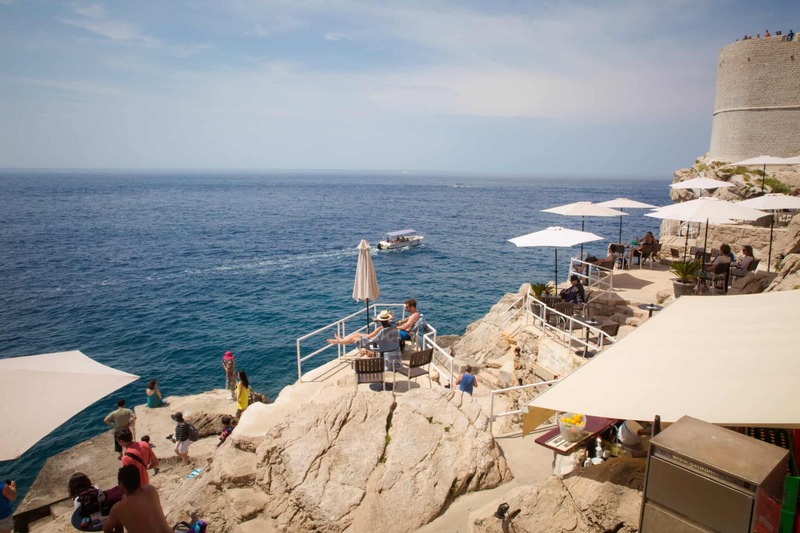 Check out these great posts on what to do in Dubrovnik here and here. They are full of great, family-friendly things to see Dubrovnik. Travel With Meraki – Don’t over plan. Some of the best magic will happen when you get lost or just wander where your feet take you. Dubrovnik is in the Dalmatia region of Croatia, set on the coast of the Adriatic Sea. 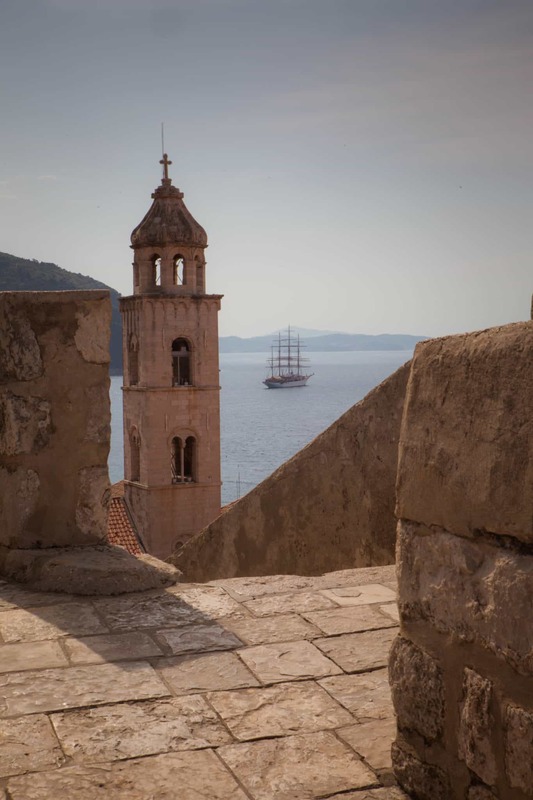 What is the best time of year to go to Dubrovnik? The city can get very busy in summer. Plan to arrive early and stay late to miss the cruise ship crowds. We visited in July and the temperatures were pleasant but it was still crowded during the day. We have been told that the best time to visit Dubrovnik is a little out of season in September to October or May to June. Although the weather in Dubrovnik is still warm at this time of year the crowds are considerably less as many of the cruise ships don’t come into port at this time of year. Dubrovnik has its own airport. We flew into Zagreb and rented a car to drive down the coast to Dubrovnik. Then flew from Dubrovnik airport. Find great flight deals here. Want to rent a car to explore? Click here to find out more. Temps are high in summer. Make sure you take a hat and sunscreen. Hitting the wall early is a good idea as there is little cover along the walk. 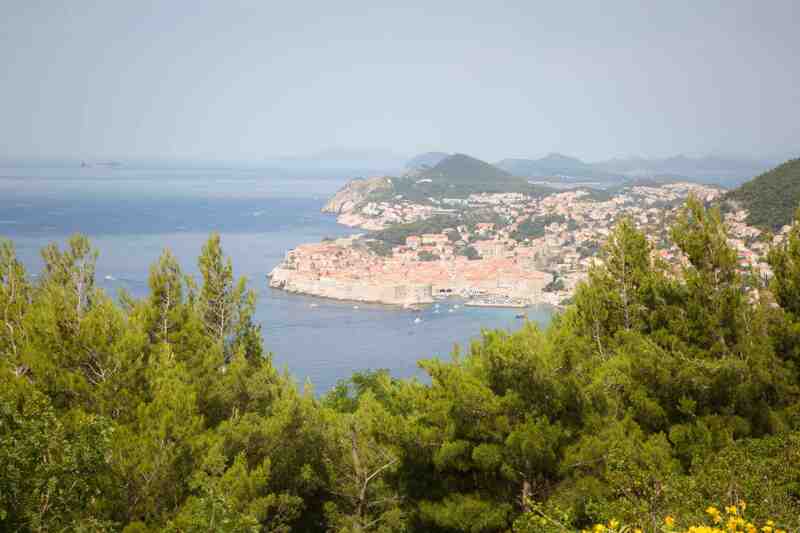 Find the latest weather forecast for Dubrovnik here. Rather Book A tour? Find the perfect one for you by searching here. Looking for more things to do in Croatia? We hope this Dubrovnik itinerary has shown you that you can fit in plenty with one day in Dubrovnik. 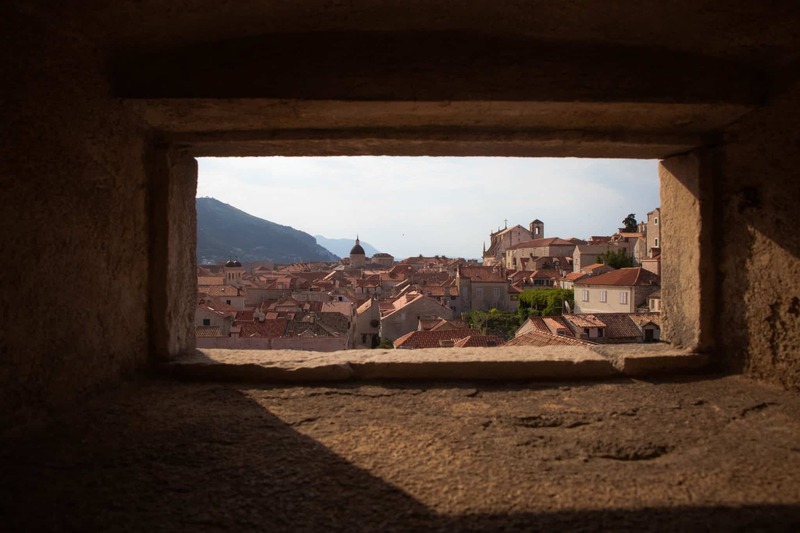 I became aware of the beauty of Dubrovnik due to GOT! This place is stunning. Excellent post, Meraki! It’s just as magic…if not more so in real life! Hope you get to explore there for yourself one day.